To enter, you must register your details below and tell us your why you want to win a pair of return flights and who you would bring along with you. 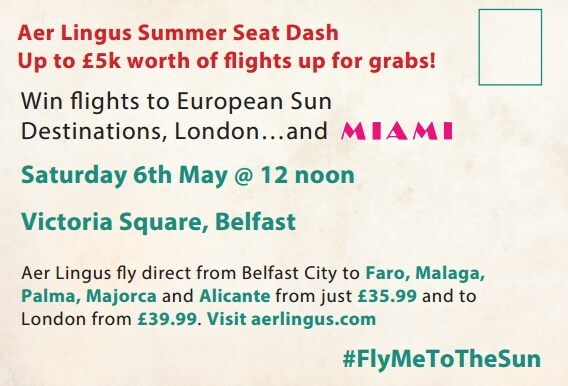 You could be selected as one of the lucky finalists to join us in Victoria Square on Saturday 6th May at 12 noon for the Aer Lingus Summer Seat Dash Competition. On the day, we will be giving away up to £5,000 worth of summer fl­ights including two ­return fights to Miami! Also, Q Radio presenter Gareth Stewart and the Q Crew will be there on the day with live music and giving away Q goodies. 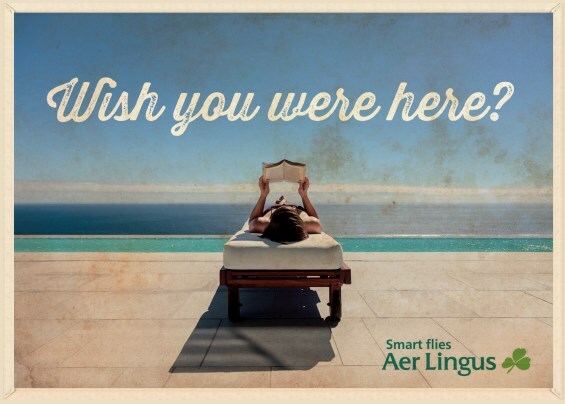 Flights are subject to availability and exclude travel over bank-holidays. Travel is limited during the months of July and August. The destination cannot be changed nor can the tickets be changed once issued. European flights include one bag per person at 20 Kgs. Miami flights include one bag per person at 23Kgs. The flights may only be redeemed by the prize winner and may not be sold onwards nor transferred to another party. See here for Q Radio standard competition rules.